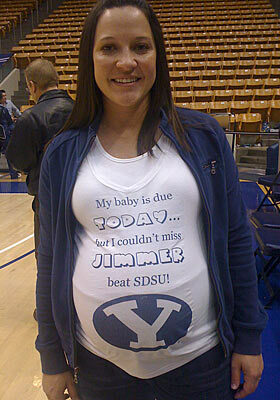 Hope Jimmer had nothing to do with the making of this t-shirt. Matt Moore of CBSsports.com has Jimmer Fredette going to the Knicks at pick 17 of the draft. That seems like the kind of fit that D'Antoni would like. If he is still the coach. Even though I don't watch hockey, I am still kinda glad that Atlanta is losing their franchise and that it is moving back to Winnipeg. Canada, the northern state. Hockey belongs there. No in "Hot-lanta." Again with this crap. Enough. Either you have the proof he did it or not. Enough. How did the Indians get this good this fast? Alex White? Asdrubol Cabrera, Mitch Tomlin, Josh Talbot. Who are these guys? Brett Gardner is batting .357 in the last 28 days, which is awesome. but did you see that sliding catch he made in the 1st inning yesterday, getting Ivan Nova out of the inning 1-2-3? That's where he makes his money. Nice catch Brett. And nice pop-back-up! As incredible as the Oakland' A's pitching is—and it is ridiculous—their batting is that bad. How bad? Brandon McCarthy has a 3.39 ERA, a 1.225 WHIP, leads the league with 1.414 walks per 9 IP, has 2 complete games, a shutout and and has a .1414 HR/9IP and is still 1 and 4. Mark Polishuk discusses what a "bad" season for Albert Pujols would mean for his off-season negotiations for a new mega-deal. Me? I don't think a down year has any effect on it at all. Teams will still pay through the nose and ears for Albert no matter what he does this season. If Brandon Jennings is really on the trading block, I betcha there are a bunch of teams willing to trade for the 21-year-old talent. But how would Bucks fans react. There has been along, long drought up there in Wisconsin. Shawn Marcum...the best trade made this off-season, except maybe for Adrian Gonzalez. 6 out of his 10 starts have gone for longer than 6 IP and with 0 or 1 runs. Awesome. Has Danica won anything yet? Then I'm tired of seeing her all the frickin' time. She's on the Cover of SI twice! For what? Not including the ESPN love she's gotten and the stupid GoDaddy commercials. I voted that the Giants had one of the nicest drafts this past April. let me take that back. The fact that they didn't touch their offensive line until the 45th round disqualifies them. Their line is old and breaking down. They should have addressed this this year if not last year. Same goes for the Bills. Mansfield Wrotto? Demetrioius Bell? You really didn't address the line? When Gabe Carimi made it past 22 in the first round, how do the Bills not trade up before the Bears to take him. it's ridiculous. Why do you guys hate Ryan Fitzpatrick so much? Nice little 1-hour special by MLB Network about the 40 biggest trades in MLB history. one caveat. How did they not have the 1972 Steve Carlton trade from the Cardinals to the Phillies. All Carlton did was win 4 Cy Young awards and 241 wins for the Phillies. Not a big trade? And lastly ...I've avoided this topic because A0 it's being covered everywhere, and B) what is there to say....but now, I'll say this. Come on guys. Let's cut the crap and get back to some football. There's enough money for everybody. Fredette would be an interesting pick, because he certainly isn't shy about hoisting shots. Atlanta won't miss a hockey franchise. Having lived down there, I couldn't see the Raleigh-Durham area missing the Hurricanes all that much, either. I think it's a matter of time before the Canes move, too. The Giants will suffer if the have injuries on their O-line this year, but they needed help on defense, too. I can't say I blame them for drafting a high caliber corner given their tendency to blitz. Actually having 4 professional sports franchises and some of the best college sports come through town every year is quite special. Atlanta will miss the hockey I'm afraid, myself included. Best spectator sport in person period. Did you know: Atlanta has outdrawn fabled RedWing franchise in many years this decade while "not supporting" it's team. Seems winning has something to do with putting people in the seats. The Atlanta ownership never wanted the Thrashers, it was the ugly sister to the Hawks and Philips Arena in the deal. They have consistently kept the management from spending money, this year ~ $18m under the salary cap, would make the Pirates blush in baseball. When they had their lone appearance in the postseason a few years back that place was rockin' for most of the season and into the playoffs. The joke is Winnepeg doesn't deserve it. They averaged less fans than Atlanta has and that is why they left, not the "nobody wanted to own them anymore" BS. There are so many transplants in Atlanta all the dumb stereotypes don't really work, it is a city of 4+ million people from all over. Very passionate fans, just imagine your favorite team with owners that don't use any PR, don't promote the team in any way, spend the bare minimum, don't create any local pee wee hockey programs of any kind. Imagine losing badly because your 1st and 2nd lines (hockey term) might not get ice time in most cities. Atlanta will miss hockey, unfortunately I will too.